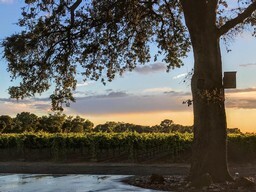 Heritage Oak Winery is located on an isolated stretch of Woodbridge Road six miles east of Lodi, California on 106 acres of property that nestles up against the north bank of the Mokelumne River. The winery was built beneath a towering blue oak tree that dominates the landscape for miles around. The tasting room is open every day, and features a stunning line up of crisp whites and fruit driven, full-bodied reds. 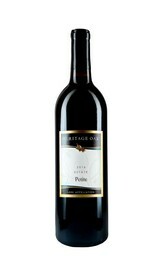 New vintage of our best selling wine! 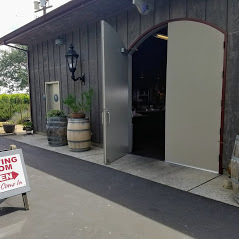 The Heritage Oak tasting room is open 7 days a week. 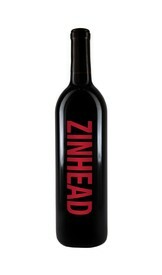 Stop by any afternoon to sample our wide selection of reasonably priced wines: whites, reds and popular red blends. Visitors are encouraged to select 7 wines to sample. The fee for sampling without a purchase is $10. Our fee is waived if a purchase is made.